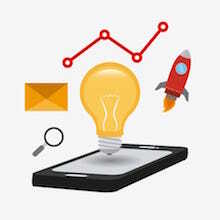 “only” mobile search requests are mainly affected, but it is estimated that the new ranking signal will influence up to 50% of search queries. In comparison: from the Panda update up to 12%, and the Penguin up to 4% of search requests were affected. If and to what extent mobile search requests will dominate over desktop queries and cause changes in the SERPs, no one can certainly predict for the time being. Since mobile devices are more important since ever, nobody should simply ignore the coming changes, anyway. I. What is Google’s intention with the Mobile-friendly Update? Worldwide there are 2.5 billion mobile internet users, at the moment. In Germany alone around two thirds of internet users have mobile devices for surfing. Roughly 30% of Germans make purchases over mobile devices on the internet. And this won’t stay like that. All these figures are continuously increasing. Google basically just adjust its algorithm with the Mobile-friendly update towards the changed behaviour of the users – and that is just becoming ever more mobile. II. What does Google regard as “mobile-friendly”? In a nutshell: a site should be easily readable, immediately understandable and also easy to navigate on a smartphone. Google limits its signal “mobile friendliness” on smartphones explicitly. Tablets belong due to their larger screens to their own device class, thus not being in the focus of the planned update. That Google doesn’t call it “smartphone friendliness” is due to the fact that two other device classes are included, the multimedia phones and feature phones, that are technically not the same as smartphones, but often referred as such in everyday language. III. Which criteria have to be fulfilled for the signal „mobile- friendly“? Font size: the contents of the website can be read well on the mobile device – in a way, so that you don’t have to zoom in or out all the time to be able to read the text. Links: links are displayed in a way, that the distance between the single links is big enough, so that the correct link can be easily selected via the touch function. IV. 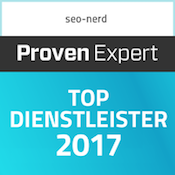 Can the mobile-friendly update cause my website to go down in the ranking? Yes! At least concerning the search result pages Google displays on smartphones. If there’s a need for action everyone can check on the mobile test site run by Google (https://www.google.de/webmasters/tools/mobile-friendly/). From the URL Google quick-tests the site often in less than 60 seconds whether it is equipped well enough for the mobile-friendly update. In a positive case a green bar shows up (as in the left side of the screen with the seo-nerd). If there is a need for action the bar is red (right screen side). The points that are to be optimised are listed beneath it, for instance a too small text, too closely arranged links, non-defined mobile display areas, etc. V. Will there be an own index for mobile search requests? Although Google is as generous in the preparation of the “mobile-friendly” update as with no update ever before, it is not clear until now, whether the update will / shall have its own mobile index. It is sure, though, that Google will put its crawlers into a position with this update to specifically scan mobile sites as well as apps. Therefore it is assumed that “deep links” (LOWERSCRIBED sub-links) will soon be more frequently listed in the search requests. This is in accordance with the mobile surfing behaviour of users as smartphones surf less often “deep” as it is done on desktop computers. In a nutshell, this will also mean: it will be even more worth it soon to optimise also sub-pages for Google. VI. How stark will mobile-unfriendly sites be affected by the update? how high the percentage of keywords typed in on mobile devices is leading to your site. While for the first point you might come to the conclusion that your site is not affected by the Mobile-friendly update, with the second point you soon will realise: nobody can really predict the consequences of the update for your own site. Even sites that could completely ignore mobile devices until now might still be affected by the Mobile-friendly update at least indirectly – over the keywords. To what extent varies in every single case, as often. Naturally nobody has to fear that they will fall out of the ranking, entirely. 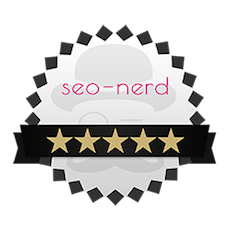 The approximately 200 other important factors for a good ranking are not gotten rid of with the update, after all. Mobile friendliness will be added to the Google algorithm on 21st April. The balance of the signals will be changed with it, but of course not eradicated. VII. Which possibilities are there to make sites mobile-friendly? A mobile website. It is established with its own URL beside the desktop website (e.g. “m.website.com”). 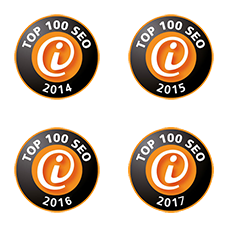 From the search engine optimisation viewpoint this will bring countless problems of course, for instance having duplicate content and a link structure split over two sites instead of accumulating all backlinks on one site together. But these problems can be overcome with certain tricks. 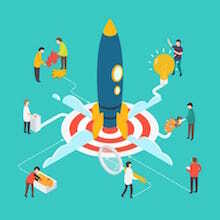 design of the adaptive website is incorporated into the changing sizes of the screens; hence there is no fluid adjustment to the viewports as there is in Responsive Webdesign. On a liquid website the pictures are just proportionally decreased in size in relation to the entire site display. The design doesn’t respond to its environment on which it is displayed. Responsive Design. The display is in response to the corresponding screen as optimal as possible. The design responds to the environment in which it is displayed. VIII. Does a site have to be responsive in order to be classed mobile-friendly by Google? No. Basically all solutions are permissible for Google. Google, however, recommends Responsive Design, because it solves more than one challenge with this approach, as avoiding duplicate content. Google recognises that there are cases, in which a separate mobile site is advantageous, for instance news pages, whose desktop version often offers a range of sub-pages that cause problems in regards of navigation on mobile sites, though. The recommendation for Responsive Design is primarily based on the fact that this solution meets all criteria for mobile friendliness and usually errors are produced much less often compared to the available alternatives. However, it should not be ignored that Responsive Design can lead to some parts of the content not being displayed on various devices. In a summary: There is no golden way to design sites mobile-friendly. Responsive Design might be the best and easiest way for the majority of sites, but it doesn’t have to be. In the end, the decision has to be made for each single case, independently. IX. My site has Responsive Design, but still fails the Google test. Which reasons are there for this? X. Can I still use Flash on the site? Flash is not suitable for mobile devices. Google will also indicate mobile device users on the SERP soon that a site uses Flash and therefore can’t be displayed on the device, possibly. In a nutshell: Flash will become a negative ranking signal and should be not used as a result of that. 1. I. What is Google’s intention with the Mobile-friendly Update? 2. II. 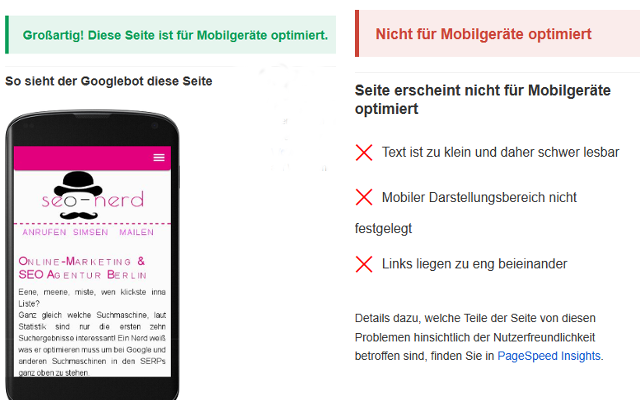 What does Google regard as “mobile-friendly”? 3. III. Which criteria have to be fulfilled for the signal „mobile- friendly“? 4. IV. Can the mobile-friendly update cause my website to go down in the ranking? 5. V. Will there be an own index for mobile search requests? 6. VI. How stark will mobile-unfriendly sites be affected by the update? 7. VII. Which possibilities are there to make sites mobile-friendly? 8. VIII. Does a site have to be responsive in order to be classed mobile-friendly by Google? 9. IX. My site has Responsive Design, but still fails the Google test. Which reasons are there for this? 10. X. Can I still use Flash on the site?